In the fall of 1918 the Great War in Europe was winding down and peace was on the horizon. The Americans had joined in the fight, bringing the Allies closer to victory against the Germans. Deep within the trenches these men lived through some of the most brutal conditions of life, which it seemed could not be any worse. Then, in pockets across the globe, something erupted that seemed as benign as the common cold. The influenza of that season, however, was far more than a cold. In the two years that this scourge ravaged the earth, a fifth of the world's population was infected. The flu was most deadly for people ages 20 to 40. 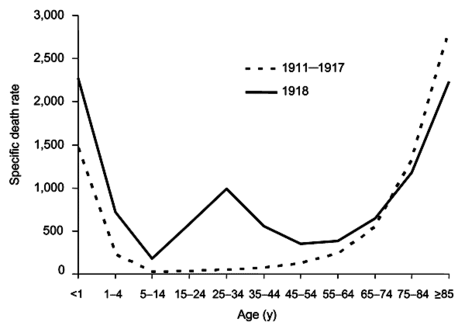 This pattern of morbidity was unusual for influenza which is usually a killer of the elderly and young children. It infected 28% of all Americans (Tice). 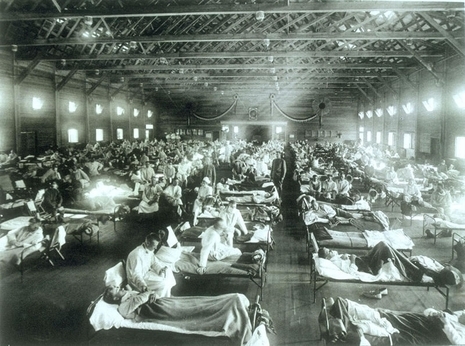 An estimated 675,000 Americans died of influenza during the pandemic, ten times as many as in the world war. Of the U.S. soldiers who died in Europe, half of them fell to the influenza virus and not to the enemy (Deseret News). An estimated 43,000 servicemen mobilized for WWI died of influenza (Crosby). The plague emerged in two phases. In late spring of 1918, the first phase, known as the "three-day fever," appeared without warning. Few deaths were reported. Victims recovered after a few days. When the disease surfaced again that fall, it was far more severe. Scientists, doctors, and health officials could not identify this disease which was striking so fast and so viciously, eluding treatment and defying control. Some victims died within hours of their first symptoms. Others succumbed after a few days; their lungs filled with fluid and they suffocated to death. 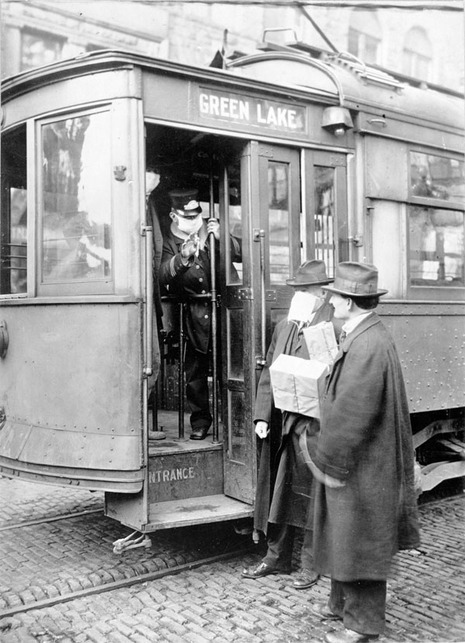 The 1918 flu pandemic (the Spanish Flu) was an influenza pandemic that spread widely across the world. Historical and epidemiological data are inadequate to identify the geographic origin. Most victims were healthy young adults, in contrast to most influenza outbreaks which predominantly affect juvenile, elderly, or weakened patients. The flu pandemic was implicated in the outbreak of encephalitis lethargica in the 1920s. 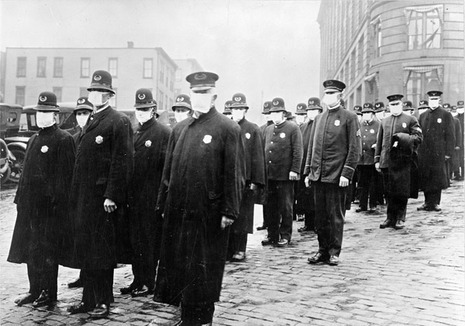 The pandemic lasted from March 1918 to June 1920, spreading even to the Arctic and remote Pacific islands. Between 50 and 100 million died, making it one of the deadliest natural disasters in human history. An estimated 50 million people, about 3% of the world's population (1.6 billion at the time), died of the disease. 500 million, or 1/3 were infected.